Handex roadway crews pushed 8 sections of ADS N-12 poly piping through the casing to the next structure in less than 12 hours. Install 860’ LF of stormwater piping through environmentally impacted areas along a major thoroughfare and hurricane evacuation route for Florida Department of Transportation, District 4. 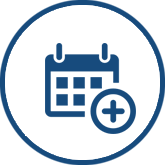 • The stormwater piping must be lined to prevent impacted groundwater from entering the stormwater system and water shed areas. 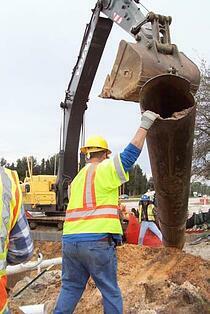 • Install piping across roadways in 24 hours without closing roadways. • No disruptions to operating businesses or impacts to neighboring residences. • Keep existing stormwater system fully operational until new system is online. 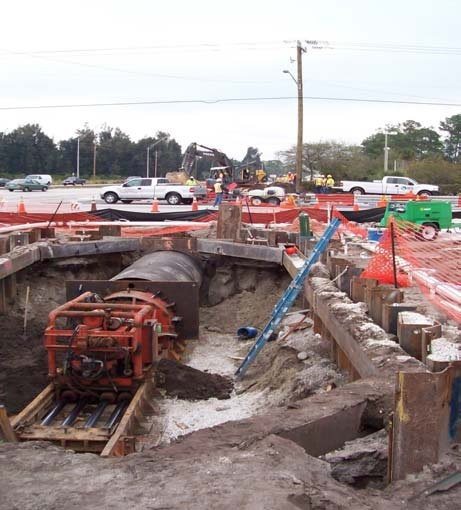 Our experienced Heavy Construction Team analyzed the required specifications and developed value engineering and cost effective solutions which addressed all of FDOT’s concerns. During the initial project evaluation, we determined that lined concrete piping was extremely expensive, (over $485,000), hard to handle and very laborious to install. We had the solution: use polyethylene piping. One call determined that N-12 poly piping which is impervious to infiltration and seepage (locks together water tight), is very easy to handle and install (20’ lengths instead of standard 8’ lengths of RCP), and approved by most DOT Departments resulting in a cost savings of over $430,000.00 compared to using lined RCP. Due to the seasonal high volume of traffic, closing the roadways for any period of time was not an option. We recommended the use of a Pilot Tube Jack and Bore (J&B) Method to install a length of casing under the road way. Using the pilot tube J&B is very precise over conventional J&B where the line and grade must be within prescribed tolerances. A 73” FDOT approved steel casing in 30’ sections were welded together then jacked a total of 160’ underneath the existing roadway. Our roadway crews then pushed the 8 sections of ADS N-12 poly piping through the casing to the next structure. Working round the clock, our crews along with our subcontractors took less than 12 hours to complete this task. Our vast experience again proved this was the most efficient and cost effective method with very little disruption to traffic and the surrounding areas. A major factor during installation of the new stormwater system was keeping the existing drainage flowing at all times. Due to major inconveniences caused to residences during the rainy season in the form of flooding, we devised a coffer dam by pass system to keep the existing system operational as well as reducing the chance of flooding. 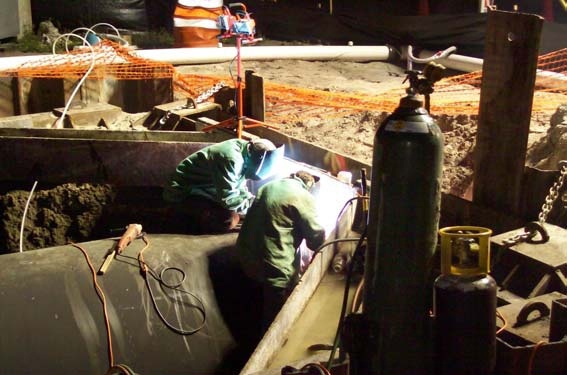 Also 16” and 8” diesel powered centrifugal pumps (over 20,000 GPM) were used round the clock to ensure the drainage system canals were always flowing freely.